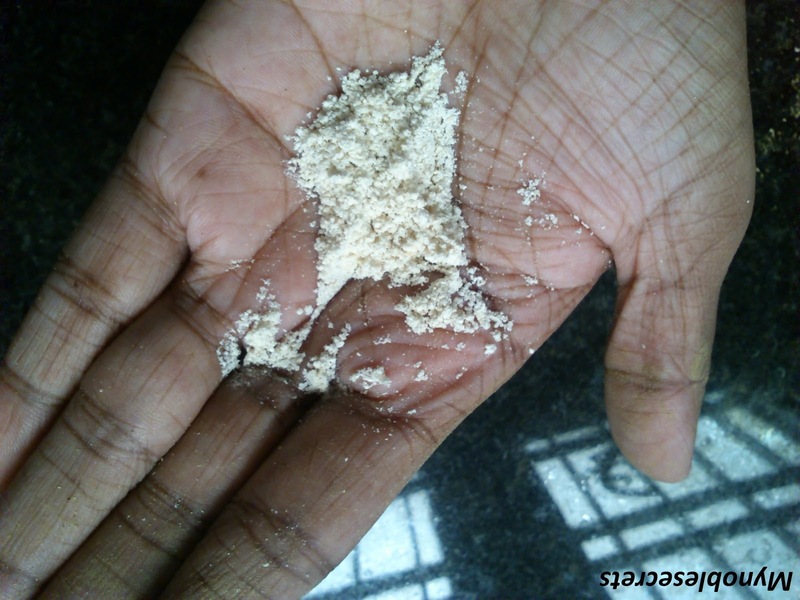 Oatmeal Scrub contains finely ground husk of oatmeal. It acts as a deep cleansing face scrub which helps in removing dead cells & blackheads.Keeps the skin free from blemishes while moisturising & restoring the natural oil balance. Finely grounded Oat meal and Green Gram Dhal. 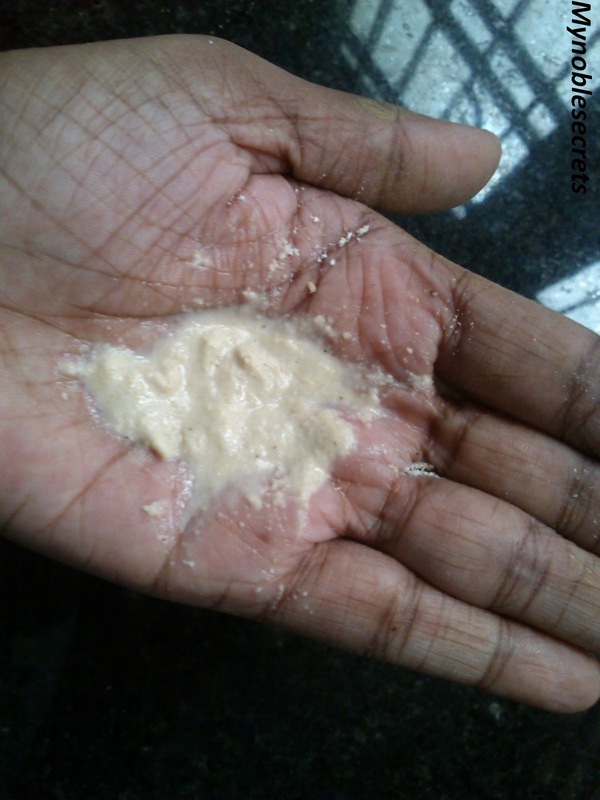 Take 1 Teaspoon Oat Meal Face pack Powder and Mix it with Rose water if you have oily skin, mix it with Curd if u have dry skin. Make it like a thick paste and apply evenly on your face and neck. Leave it until dry, then wash it off with warm water and then cold water. It is a white granules powdery face pack, and comes in a air tight pack. I have transferred it in to a air tight container. I have got some breakouts,black heads and all the hell on my face due to couldn't do daily routine when I was sick. So, I have used this Face pack to calm down my skin impurities. I have mixed it with Rose water since I have Oily skin. It is easily spreads on my skin and sticks well after applying. When I made it myself in the home It won't stick on my Skin and fall out until it dries. But this Oat meal Face pack sticks on my face well because it has green gram dhal in it. usually I will do work after applying any face pack. This Face pack make that work very easily and convenient. After drying I have washed it with Luke warm water and then with cool water. Really My skin felt so soft and relaxed. It looks so fresh after the wash and calm. I loved the results and using it weekly once, since I have oily skin, it has brighten up my face.... :) . It is Herbal product no side effect and harmful chemical. 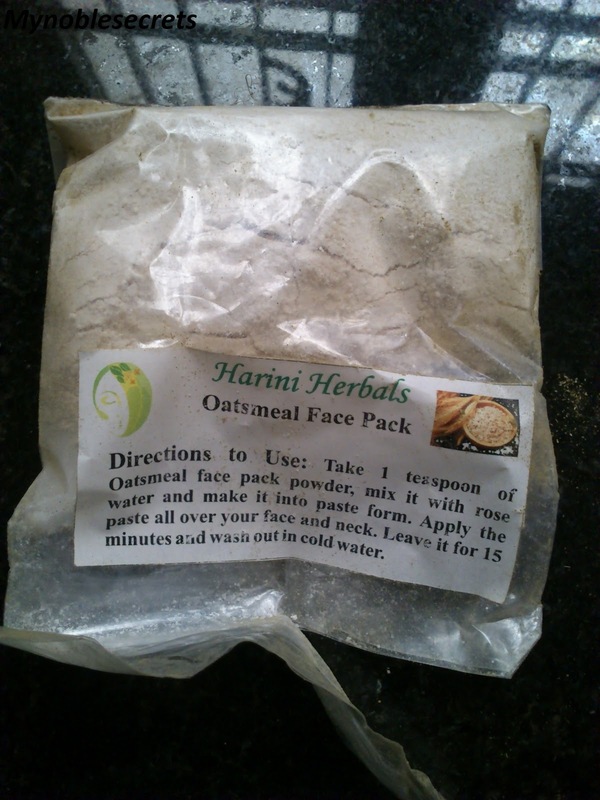 Easy to use then homemade oat meal face pack. Easily and evenly spreads on face. Gives soft and supple skin after wash.
By regular use it will remove black heads and blemishes from Face. Affordable worth for the price. My Final Verdict Harini Herbals Oat Meals Face Pack is a wonderful Face pack and helps for all skin type. Hope You all will find useful in this Review. o good.this one am trying in home.for me oily skin.nice review.for ur contest i wil mail u radha. woww...seems good one radha..how r u now? Wow..this is nice ...I want to try as well..
Wow all this products are very good..I will try to get them and will surely apply this face pack on my skin ,,,very nice post. I will try this pack.but need to find in local market. i don't know whether will get this or not.